Some people get a sense of doing something that they’ve already done, or they think about someone randomly just before they call. All this could be a sign that you have precognition. But your senses may be underdeveloped or underutilized. So, in this article, we are providing a guide to help you hone and engage with your precognitive abilities. Precognition is Latin for ‘acquiring knowledge before’. Precognition is a psychic gift that allows those who possess it to gather information about events that have yet to happen either visually or through a feeling or both. Skilled precogs can see into the future through many mediums. This can take the shape of visions of future events or other subtle premonitions. 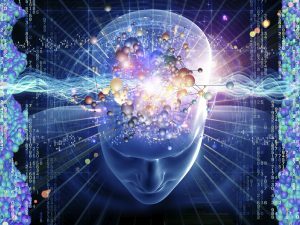 Most people with precognition don’t realize that it is an ability that they ability that they possess Precognition visions may appear to you; however, you may not have noticed because you weren’t sure what you were looking at. So, here are some signs to look out for if you believe you have this ability. You have precognitive dreams: Precognitive dreams tend to be very vivid. So even though dreams can take on a fantastical quality and may even disturb you, if you read between the lines of the visuals you’re seeing when you dream, then you may be given some insight to events to come. You suddenly become anxious prior to an event: This may be your precognitive abilities trying to warn you of what’s coming. You may get a bad feeling suddenly or even have a vision of something happening. Your intuition intensifies suddenly: This sudden spurt of intuition can be from some things like knowing your phone will ring soon and who exactly will be on the line before it happens, or thinking about or singing a song just before it plays on the radio. Déjà vu is a common occurrence for you: Déjà vu describes a phenomenon where an event takes place in front of you and feel like you’ve seen it before. These are things that you should take note of and pay close attention to the events that follow your experience. You know things that haven’t been explained to you: If you tend to get an out nowhere gut feeling about something that makes no sense but eventually what you thought was going to happen actually did. Then this is a sign that you have precognition. If you’re just discovering your precognitive abilities, there are some things you can do to help hone and develop them so that they can be of better use to you. Keep a journal and write down your dreams and visions: Writing down the things you see serves several purposes. It helps you remember visions that can be easily forgotten, it’s a lot easier to decipher the vision or dream if it appears to have little meaning at first. And it can serve as a record of your precognitive visions that you can look back on if you believe you have actually experienced these visions in real life. Understanding the subtle difference between your normal daydreams and deep sleep dreams and your precognitive ability will better help you identify your gift and find new ways to help hone that gift once it is identified. Take note of your déjà vu moments: Déjà vu is something that doesn’t have to feel like a random occurrence. You can learn to improve this with practice. Don’t ignore your gut feelings: A gut feeling is just another way your precognitive ability manifests itself. That bad feeling you’re getting is for a good reason so even if it turns out to be nothing, try to recognize that feeling rather than pushing it aside or ignoring it especially if you believe your bad feeling has something to do with an event or situation that you or a loved one is about to get into. And it isn’t only for safety reasons but also to prevent your abilities from becoming suppressed. Allow your gift to flourish or you will limit your development of it. If you allow it to, your psychic abilities can grow and flourish under the right conditions. So, learn to push past the initial shock and fear and embrace this gift of yours. And even though you have this gift it doesn’t mean that you have to lead a life of isolation. It’s simply a powerful unique gift of nature. Once you start to experience precognition it’s only a matter of time before your gift begins to develop on its owngift begins to develop on its own if you let it. Suppressing the gifts natural development doesn’t help if you have mixed feelings about them but researching, nurturing, and learning to understand your abilities makes all the difference in the world.